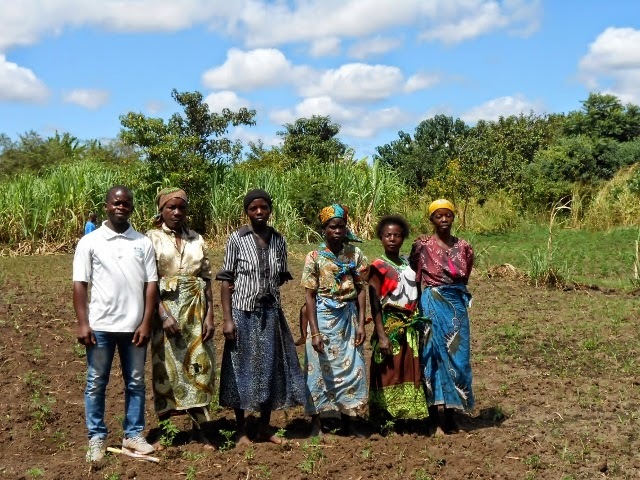 The Nasala Support Group are working hard to improve their farms and livelihoods. When the club had no resources to start a tomato garden, members chipped in the little they could to make it possible. Without fertilizer, they have used the compost heaps we taught them to make to get good growth so far. This humble beginning should grow into much more as they plant onions and maize as part of their irrigation training later this year. The goal with this club is for them to provide enough nutritious food for each member and their families, with some extra to sell.